Day 56: Amelework and Tsion painting Zaira’s fingernails. 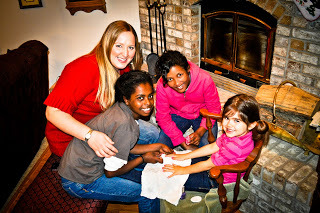 Zaira loved her time hanging out with the girls and having her nails pampered by her new friends. Nail color choice of the day…pink polish with purple sparkles…adorable!